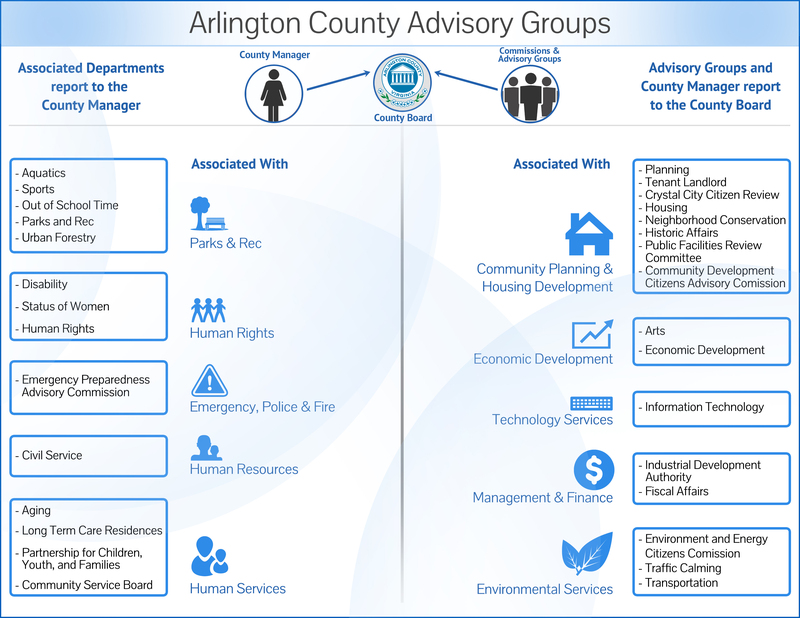 The Bicycle Advisory Committee (BAC) advises the County Manager on issues that affect cycling in Arlington, including safety, education, community involvement, awareness and promotion, and the development, operation and maintenance of on- and off-street bicycle transportation and recreation facilities. The committee holds regular meetings open to the public on the first Monday of the month. The meetings are held at the Ellen M. Bozman Government Center, 2100 Clarendon Blvd. All meetings are held from 7 to 9 pm in Room 311 unless otherwise noted. NOTE: The May 2019 BAC meeting will take place on Saturday, May 4 at the Lee Highway Alliance, 4620 Lee Highway, Suite 208. A pre-meeting bike ride along Lee Highway will begin at 10 am, followed by the meeting at 11 am. Agendas are posted prior to each month’s meeting.